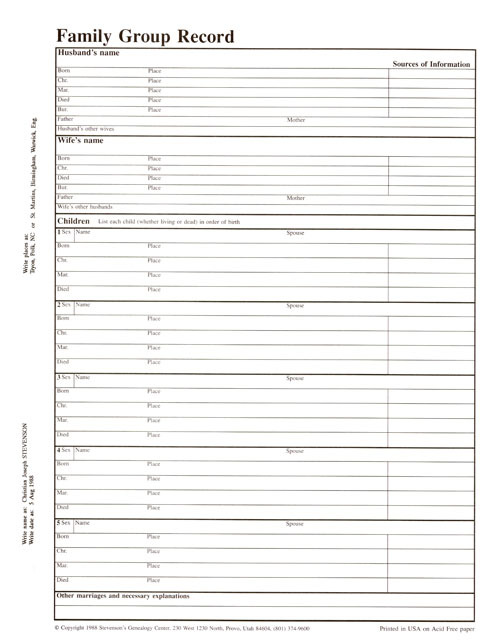 Family Group Sheet, front, FREE – Stevenson Genealogy & Copy Center L.L.C. This is the front side of the chart. Add this to your cart for a FREE download of the PDF file of this chart. It is copyright free so you can print as many copies as you would like. Here is a link to the Back Side of the chart. 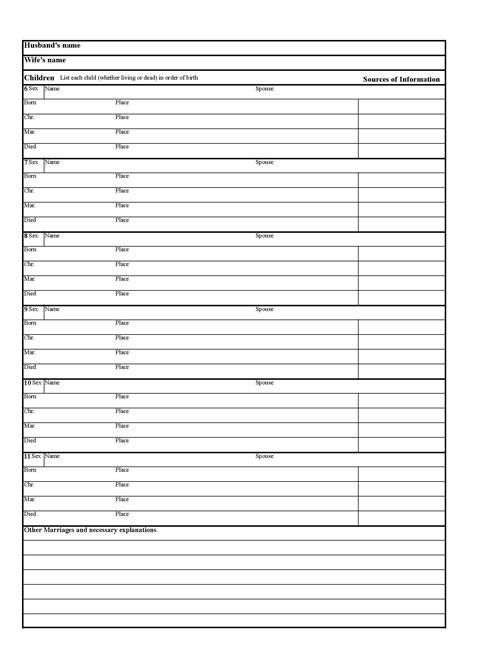 I really like your family group sheet I have used them for many years at a time when so many places stop carrying them or close their business I thank you for still being here. So glad to see a family group sheet that has room for more than 5 children! very good chart. I used this for years but need more copies. Thanks so much.